Aims to stimulate research into halting amphibian declines and to improve decisions about conservation. Amphibians are among the most threatened groups of animals on earth. In part due to their highly permeable skin, amphibians are highly sensitive to environmental changes and pollution and provide an early-warning system of deteriorating environmental conditions. The more we learn about the impact of environmental changes on amphibians, the better we as humans will be able to arrest their demise, and our own. 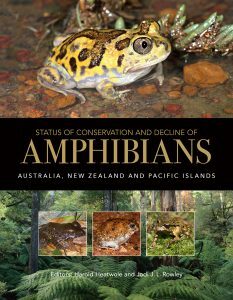 Status of Conservation and Decline of Amphibians brings together the current knowledge on the status of the unique frogs of Australia, New Zealand, and the Pacific. 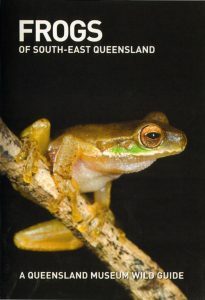 Although geographically proximate, each region presents unique challenges and opportunities in amphibian research and conservation. 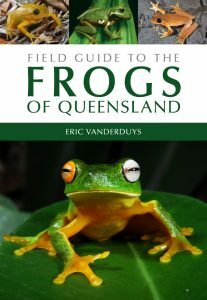 This book contributes to an understanding of the current conservation status of the amphibians of each region, aims to stimulate research into halting amphibian declines, and provides a better foundation for making conservation decisions. It is an invaluable reference for environmental and governmental agencies, researchers, policy-makers involved with biodiversity conservation, and the interested public. This compact and easy-to-use format is the ideal pocket-size travelling companion. 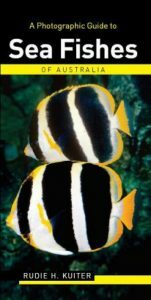 It has an authoritative text describing key identification features. Full-colour photographs illustrating each of the 222 species. Thumbnail outlines of each family group enabling quick identification. 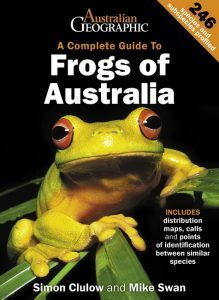 Stretching from Newcastle in the North to Batemans Bay in the South, and West through the Blue Mountains, the Sydney region is home to a vast array of frogs and reptiles. 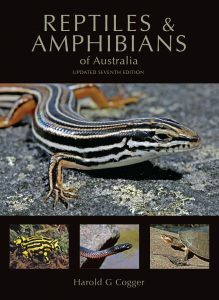 This book covers 130 species found in the region from the Blue-tongue lizard, turtles and frogs to diamond pythons and skinks. To aid in identification, each entry has a colour photograph together with a description of the colour and features of each animal, where it lives and what it eats, how it reproduces, its current conservation status for the Sydney region and whether it is an endangered species. 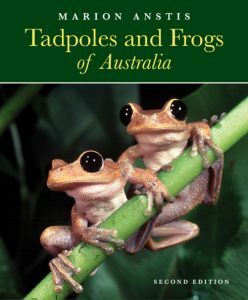 Details and photographs of the most common habitats of the Sydney region are given at the front of the book, together with information about threatened species, how to keep frogs and reptiles as pets, what licenses you need, and how best to observe frogs and reptiles in the wild. Treatment for snake bites is given at the back of the book. 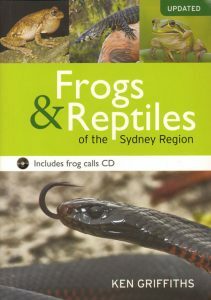 To further help with identification of frogs, a CD of the calls of Sydney region frogs is included with the book. 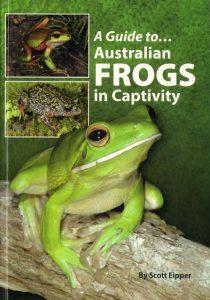 A guide to Australian frogs in captivity. Covers general management, housing, feeding, breeding, health and diseases. 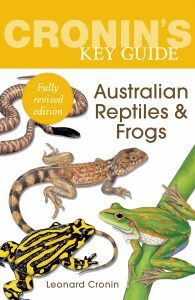 There are individual chapters profiling 32 Australian species kept in captivity. 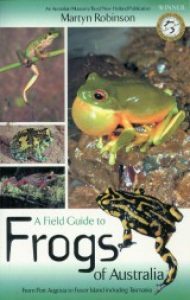 This small identification guide contains 95 colour images and illustrations to assist with identifying frogs, their habitats and calls. 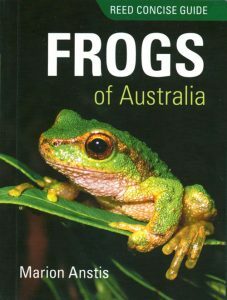 It also includes information on introduced species of frogs and toads and handy hints on frog-watching.